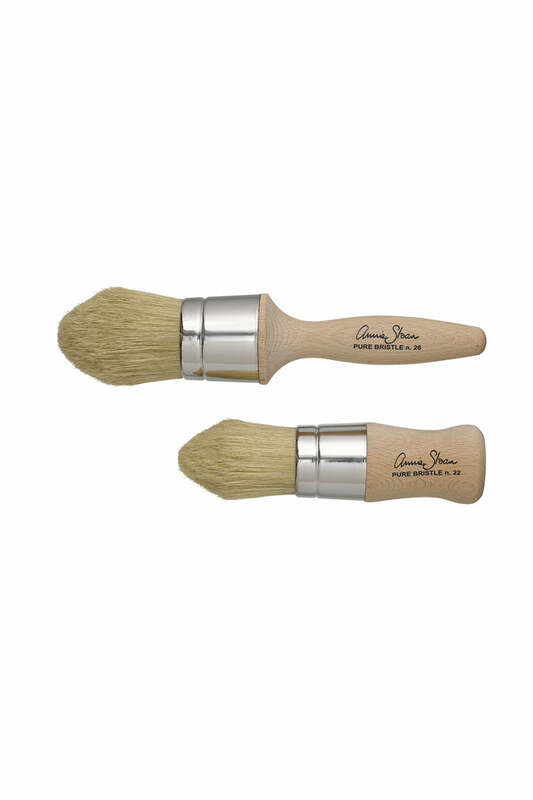 Annie Sloan’s Wax Brushes are made of pure bristle with natural split ends. They feature ergonomically shaped handles for the effortless application of finishing coats of Annie Sloan Soft Wax onto surfaces painted with Chalk Paint™. They are shaped to a point to assist with working wax into intricate, detailed areas and tight corners.